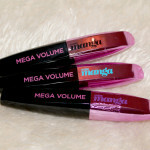 Official Mascara Correspondent Ashleigh Ciucci takes on L’OREAL Paris Voluminous Miss Manga Mascara this week. 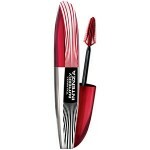 I admit it: I bought this mascara because I love all things Japanese. Who hasn’t noticed the amazing eyes and lashes in Manga comics? Needless to say, I was excited to transform myself into a Japanime character via this new mazzie. 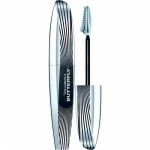 To start, the brush is a skinny-Christmas tree shape withits bristles arranged in an uneven manner. The thing that makes this brush stand out is the fact that there is a pivot point at the base of the brush. Admittedly, I don’t see much use to the pivot. It didn’t really impact the application of payoff of the mazzie. 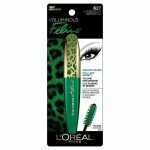 However, I’ll forgive L’Oreal for this because I really love this mascara. One coat gave me loads of curl, lift and separation. The formula is quite wet so my lashes looked super black and shiny. With a second coat there’s clumping happening but it’s the kind of clumping that you like: bushy, full and voluminous. I would warn about squaring off at the tips because the product is so thickening. 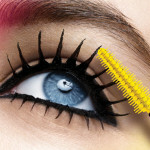 I didn’t even bother with an afternoon touch-up because my lashes still looked Manga-riffic. Because my lashes were still fully coated with mascara, the removal process took more attention that simply washing my face. But, I was super happy excited mega kawaii about my lashes. Buy this!